From the table of contents: Arithmetic; Plane Geometry; Algebra; British and Metric Units; Logarithms; Slide Rule; Ratios; Use of Squared Paper; Mensuration. Area of Parallelogram. Triangle. Circumference of Circle. Area of a Circle; etc. Contents: Number systems and sets; Positive integers; Signed numbers; Common fractions; Decimals; Percentage and measurement; Exponents and radicals; Logarithms and the slide rule; Fundamentals of algebra; Factoring polynomials; and more. The theory of equations develops anew and in greater detail various fundamental ideas of calculus for the simple case of polynomials. It affords a useful supplement to differential calculus whether taken subsequently or simultaneously. This book covers algebra, geometry and trigonometry. 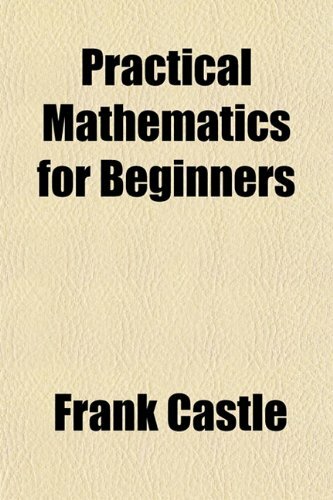 The author felt that there is a place in the intermediate high school for a course that will sum up the arithmetic, and give some insight into the mathematical problems of algebra and geometry. Contents: Algebraic expressions, Equations and inequalities, Exponents, Number patterns, Functions, Finance and growth, Trigonometry, Analytical geometry, Statistics, Probability, Euclidean geometry, Measurements, Exercise Solutions.